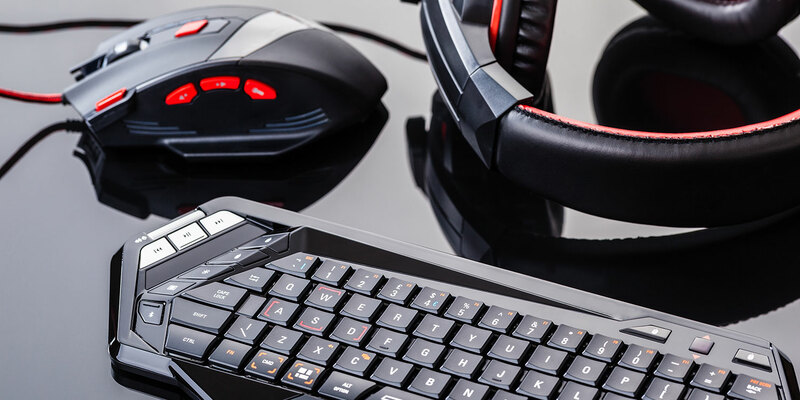 A leading tech product manufacturer had a strong product line of PC gaming peripherals, a dynamic and rapidly growing industry. Measuring their equity with a traditional tracker, it showed the company’s strong brand equity but didn’t reflect the impact of smaller competitors stealing market share. Vital Findings developed a custom global brand equity study and model that leveraged rational and emotional purchase drivers, positioning, and differentiators to develop a model reflective of the true market. Vital Findings’ team, with an extensive background in brand equity, created a custom Brand Passion equity model and score that mapped to share and was predictive of sales in each country. 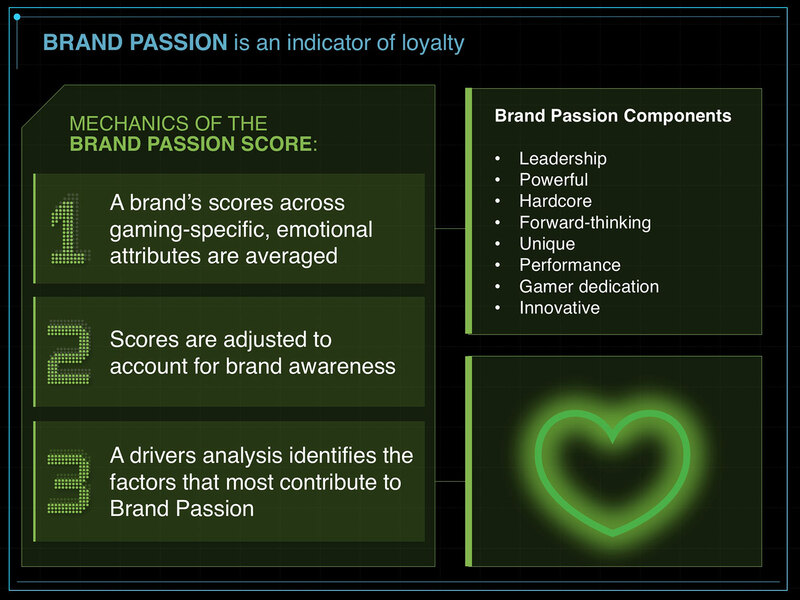 The Brand Passion score reflected the actual drivers of success in the gaming industry, which were heavily rooted in emotional connections to brands who “understand” gamers, rather than functional. 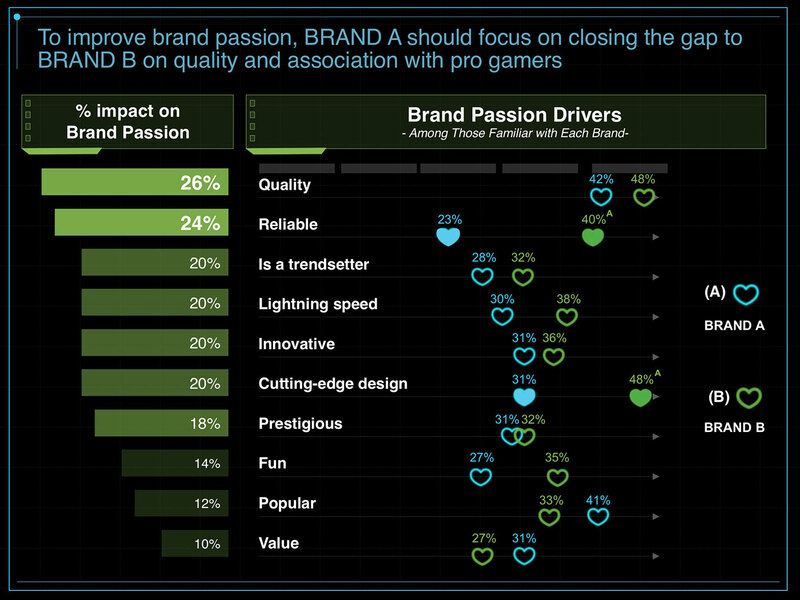 The research was shared in an interactive, town-hall style workshop with product designers, developers, brand, marketing, and ad agencies. It inspired a strong call to action for the brand to reinvigorate their broader positioning, packaging, and advertising strategy to be built around the key equity drivers to win back share and gave them the confidence that it would have a real impact on the market.